Today marks the unofficial start of the five-week-long Q1 corporate earnings season. It kicks off with the release of quarterly results from JPMorgan Chase and Wells Fargo ahead of the US market open. Earnings season, as we’ve mentioned previously, is an important time for all capital markets. And although Forex is not directly affected by corporate reporting, the moves in capital flows, the stock market, and changing expectations from the reports can lead to currency moves. 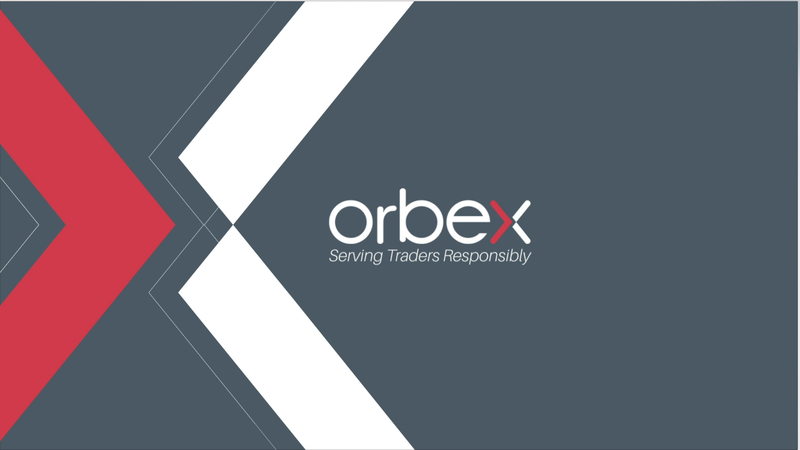 Join our responsible trading community - Open your Orbex account now! First quarter earnings are usually an opportunity for analysts to check up on the world’s largest corporations. It allows them to see how they are doing with respect to their projections for the year. If everything is doing well, most companies will simply reaffirm the guidance and outlook they gave at the beginning, maybe with some minor adjustments. This can reassure investors going into the more productive and economically active summer months, that things are on the right track. Cuts in outlook so soon in the year can have an outside influence on investor sentiment. And this leads to stock market moves, and flight to safety in currencies. Not all companies issue a full report of their activities at the end of the first quarter. However, the vast majority issue at least some kind of statement regarding how they’ve been doing over the last three months. This includes all sectors in the world, giving analysts, economists, and policymakers a huge amount of data to sift through. However, there are some key things that we can focus on. Particularly, there are certain earnings reports that are especially relevant to index, commodity and of, course, forex traders. Because of the kind of business that certain corporations do, their CEOs have a finger on the pulse of the economy. And it’s often better than what surveys of macro data suggest. This leads to major investors taking their commentary seriously. Seriously enough, in fact, that it moves the markets. Usually, major banks in the US lead earnings season. Their results give a general idea of how the US economy is performing. It also indicates what the economic effect is of monetary policy on credit and business. Increasing borrowing shows that businesses have a positive outlook. This will likely support risk appetite as well as strengthen the USD. But, going into this earnings season, there is an expectation that US banks will underperform due to depressed IPO activity from the government shutdown. We also want to keep an eye on investment funds and talk about capital flows. Last quarter, assets under management took major punishment as markets declined at the end of the year. Those capital flows should come back. And, we want to keep track of commentary on where funds are seeing interest because that will support those sectors. For example, yesterday, UK funds manager Man Group noted that capital was flowing from Japan. He expected the move to continue, which would weaken the currency. Two major indicators of consumer sentiment in the US are Walmart and McDonald’s reports, These can either support or weaken the USD and US stock markets based on whether they disappoint or beat expectations. In a similar vein, Apple has a strong influence on tech-heavy Nasdaq. Disappointing numbers from Apple (and Alphabet, Google’s parent company) are capable of pulling the entire index down. They can also influence the DAX, since Apple suppliers trade there. Good numbers from Apple tend to support Chinese stocks the next day. For Switzerland, Swatch Group is an earnings report that gives insight into the country’s exports, and if their results come in significantly different from market expectations, it can move CHF pairs. Luxury spending is a key measure of disposable income spending. This, in turn, shows whether consumers are likely to continue or expand spending. If luxury companies like Kors, LVMH, PVH, and Luxottica (who make the majority of sunglasses in the world) are having bumper results, then there is plenty of extra money in the economy. If they are cutting their outlook, it means consumers are tightening their belts. Ultimately, whether you are trading indices, commodities or forex, the economy and value of those assets are driven by the companies that work in them. The price of crude (and by extension, the CAD and NOK), for example, is determined by the demand from customers and the supply from major companies. Therefore, having a good understanding of what major companies are seeing will give you a deeper insight into the market. Daniel John Grady is a financial analyst and writer. He is a former CFO with a degree in Financial Management and has been published in both English and Spanish. With over ten years of equities trading experience, he is primarily interested in foreign exchange and emerging markets with a focus on Latin America. Why do over 96% of Traders Lose? Is Gold Still A Safe Haven Asset? Which Game Of Thrones Character Would Make the Best Trader?